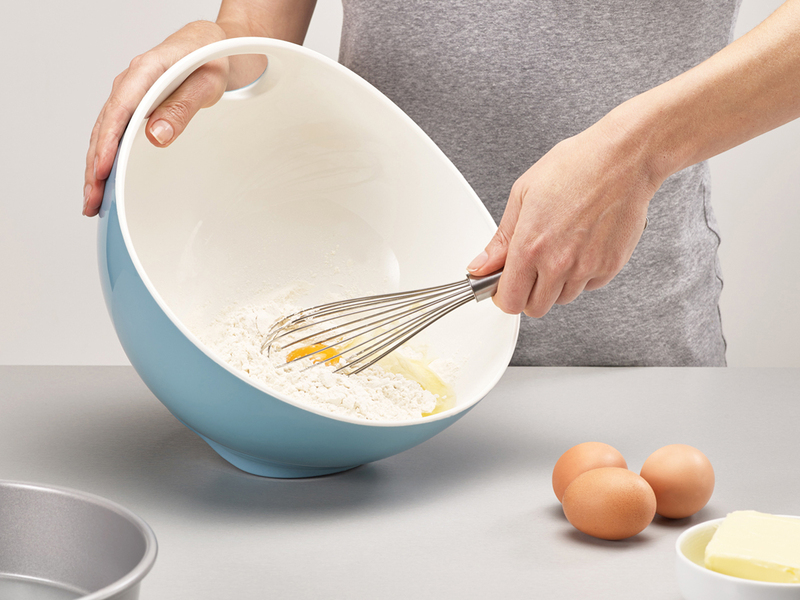 The Tilt™ Mixing Bowl has a wrap-around, non-slip base which allows it to be tilted at an angle to make mixing, whisking and combining while baking easier. Featuring an integrated thumb hole to make it more comfortable to hold while mixing plus the curved base allows you to tilt it up to 45 degrees while remaining stable. It has a large capacity to cope with big mixing tasks and a smooth, spherical shape that makes emptying easier.